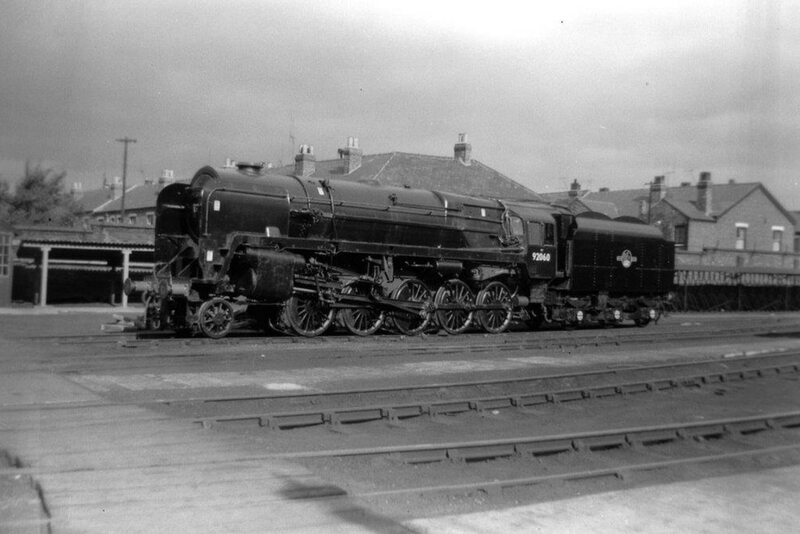 Former Crosti‑boilered Class 9F 2‑10‑0 No. 92028, of 2D Banbury, steams cautiously towards the camera near to Hatton (South) signalbox on the Paddington to Birmingham (Snow Hill) line, with a down train of mineral empties on 21st June 1965. Note the nissen huts in the right of the picture which possibly belonged to the Ministry of Defence in years gone by. It was a rarity to come across a 52H Tyne Dock based Class 9F 2‑10‑0 in such sparking condition as this, ex. 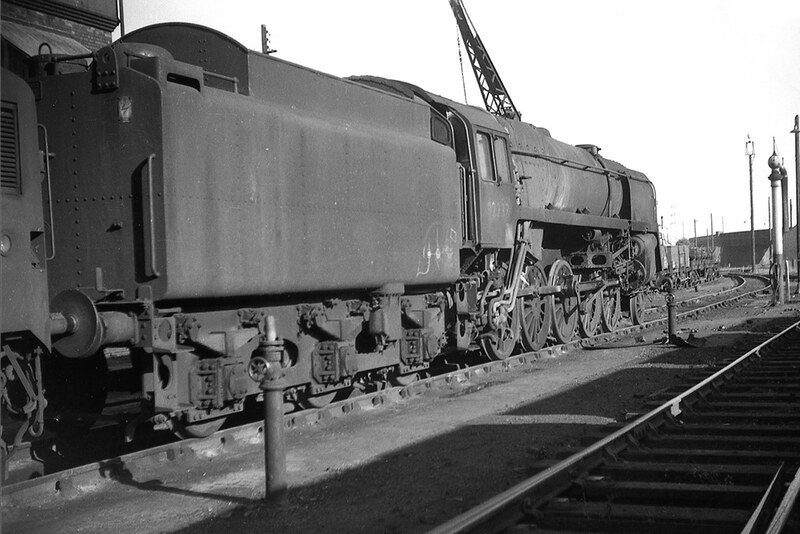 Works at Crewe on 29th September 1963. Given Tyne Dock’s cleaning record (or lack of it), 92060 will soon be back to its normal work‑stained self. Nos. 92060‑66 & 92097‑99 were equipped with Westinghouse pumps for opening the hopper doors on Tyne Dock to Consett iron ore trains. Captured on camera, this LNER warning notice partially obscures begrimed Class 9F 2‑10‑0 No. 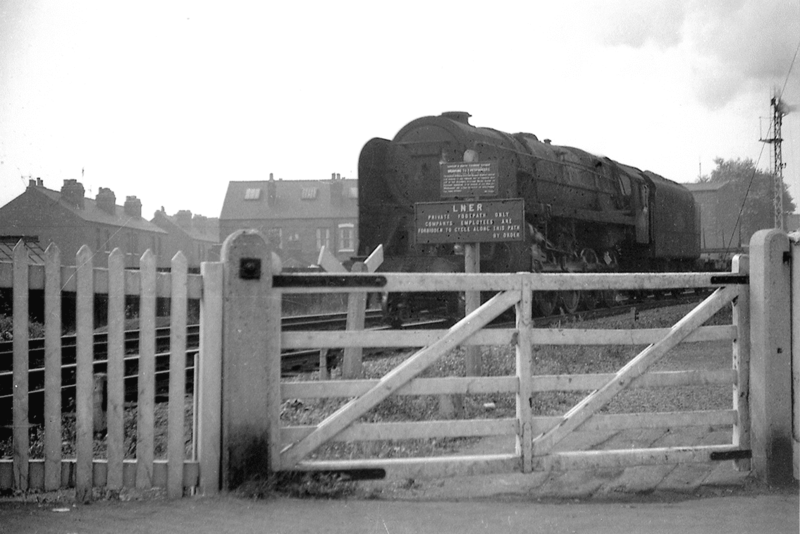 92131, from 8H Birkenhead, as it hurries a train of empty low‑loaders over a level crossing near to Colwick on 13th September 1965. 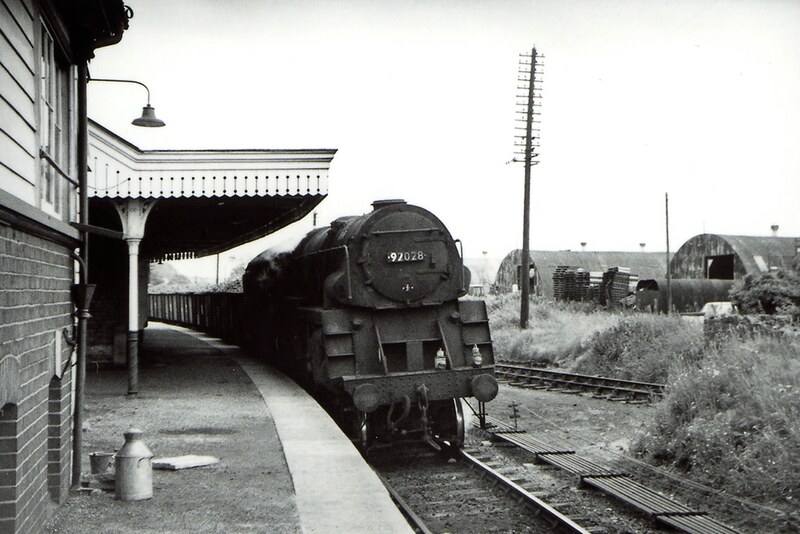 Entering service in May 1957, No. 92131 was condemned from Birkenhead MPD week ending 23rd September 1967. It’s life’s work complete, all seven years of it, Class 9F 2‑10‑0 No. 92237, equipped with a double chimney, awaits the call to the scrap merchant at its nigh on deserted former home at 86B Newport (Ebbw Junction) on 19th September 1965. The mandarins who authorised the withdrawals of modern steam locomotives when the country was still in foreign debt should have been ashamed of themselves. There are no known additional amendments or queries appertaining to the disposals of the BR 9F Class locomotives, but any information to the contrary will be welcomed along with any confirmations or otherwise of the verifications required. Authors Note: Discrepancies between the monthly withdrawal dates as published in the 1983 reprint of WHTS Volume Two and the updated versions online are negligible.